This year was our first time visiting Denton Ridge Christmas lights and we had a great time. 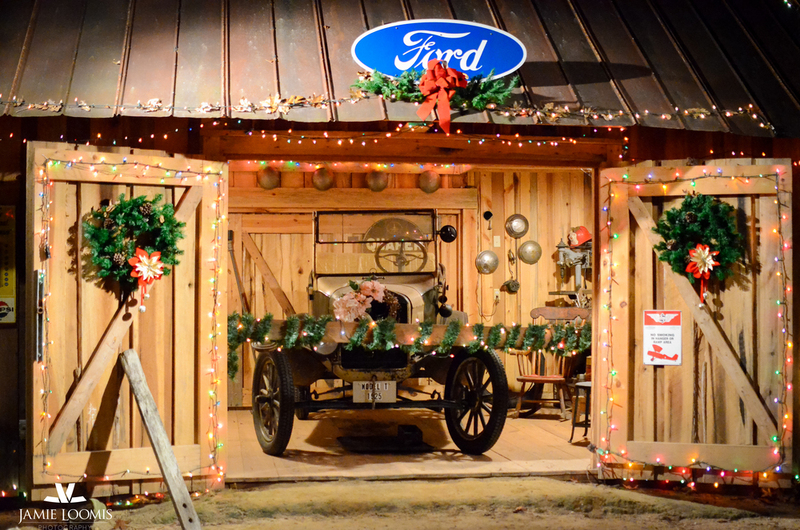 Beautiful lights, live Nativity Scene, reindeer barn, and Santa of course! Can't leave out the carolers, singing Christmas carols around the piano while sipping hot chocolate and spiced cider. If it is chilly while visiting the Christmas village you can warm yourself by the fire and roast marshmallows. If you want to see over 50,000 Christmas lights grab your friends and family and make your way to Linden, NC. You will know you are close when you see the glow.